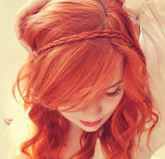 Hairstyle has always been one of the most important aspect of everyone’s outfit. No matter what the occasion is, you need an awesome hairstyle to along with your dress. If you are going to meet a stranger, you need a cool and subtle hairstyle . If it is the karaoke night at office party you need semi formal hairstyle. Or if you are going for a casual drinking party you need casual hairstyle. You would be able to find all the cool looks in these listed best hairstyle apps. Since you are a reader of Apps Nigam,I have got you covered. I am going to list some of the best apps for your hairstyle. You can install and use these apps to get the best out of your hairstyle. 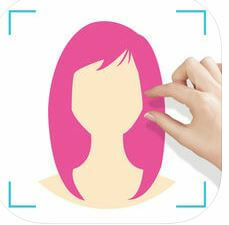 These hairstyle apps will give you quick and simple way of setting the hairstyle that you want. Not wasting much of your time, lets dive in. Let me start with the very honest confession, this is not only an awesome hairstyle app, but it could be used for full makeover. The best part about this app is its hairstyle combinations. The users have reported that the app give them very easy and unique steps for each hairstyle. Hence in no time they all can have the hairstyle of their dreams. All you need to do is to choose the hairstyle you need and you will have the steps right in front of you. There is an option where you can take the picture of the hairstyle you want and the app will search for the same combination and you will have the steps to get that hairstyle. This is free to use app and you can get some awesome hairstyle in here on this app. This is an app that is fully concentrated on the hairstyle. You have the ultimate option to become a self hairstyle expert. For every meeting and get together there is a different hairstyle listed for you. This one is very simple to use. All you need to do is to upload your photo, choose a hairstyle and just the style to match your pic and you can also get suggestions from your friends. For boys or male users, the developers have also listed the hairstyles, beards and mustaches with great variety. You can sort and search upon the type you want. Search can vary from Short, Medium, Long, Beards and Mustaches. If you have advanced version, you can cut your hairs as well and match the look you want. This is an awesome app to customize your look for every occasion. Another cool and awesome app for hairstyle is hairstyle and haircuts. This app is available for android and iOS user. This app’s catalogue consists of 900 plus hairstyle and haircuts. You would be able to get number of variations of same type of hairstyle. The best feature that I liked about this app would be, you can save the hairstyle that you want. hence you do not have to remember when you are going for a haircut. You would be able to find many tutorials: beams, braids, cascades, etc. These will not only enhance your hairstyle but also improve your over all personality. The developers have kept this app as a free to use one. They also constantly update this pp with current styles and trends. Yes you read it right, this is the app made exclusively for girls out there. There are lost and lots of cute hairstyles mentioned for girls. You can browse through and select the favorite one you want. The hairstyles that are mentioned and shown here are very easy and cute hence you can try them in no time. The app lets you choose from multiple styles. Some of the can be French Braids, Dutch Braids, Waterfall Braids, Fishtail Braids. There are over 300 plus hairstyles that you can choose from. 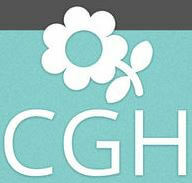 This app could be used by any age girls, mothers or aunts. This is awesome and easy to use app that is loved by one and all the users. 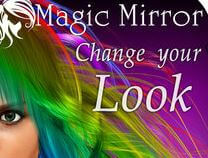 Another cool app that is available for android and ios users for their stylish hairstyle is magic mirror. There are lots and lots of color variations that you can personally try. All you have to do is to mix and match them . The best you like is what you can match with your face and you are good to go. The app has lots of options for men and women. They have ready color options and possibility to create your own color combination and hairstyle as well. It also has sophisticated facial detection system that can let you know about the perfect hairstyle for your face shape. You also can save the results on the phone or even share it with your friends and family on social media.